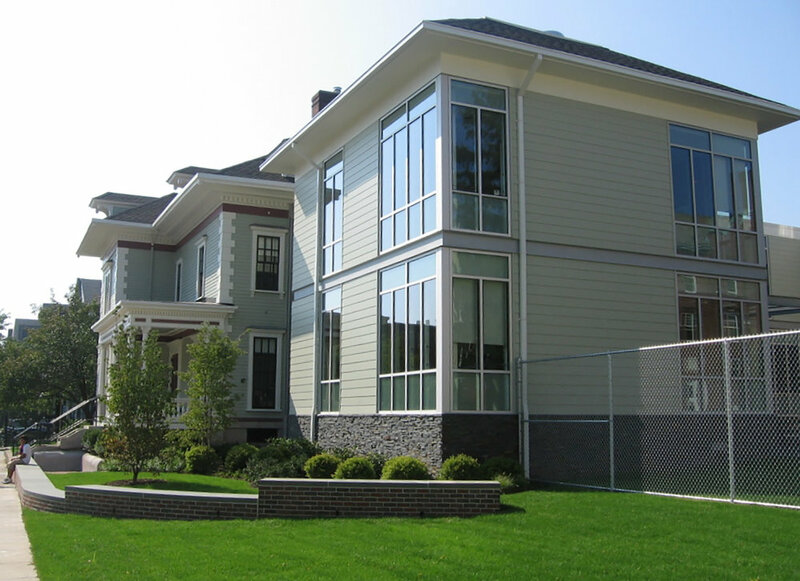 Wheeler School – Hamilton School — Ed Wojcik Architect Ltd.
Ed Wojcik Architect, Ltd. provided Architectural Services for a two story addition and renovation to an existing two-story wood framed structure to house The Hamilton School at Wheeler. The Hamilton School was founded in 1988 to teach bright elementary-grade children with language-based learning differences. Ed Wojcik Architect collaborated with Wheeler School Administration and Staff, as well as a consulting architect that had provided schematic design services, to create an addition and renovation project that was able to house modern classrooms, while retaining the architectural style of the existing building.